Interior at Paddington. Lucian Freud. Corporations have continuously shifted responsibility for ethical consumption to the consumer, the worker, the labourer. The neo-liberal ideology has resulted in much fighting between different sections of the underclass. To salvage the livability of our planet, we need to unite and hold corporations accountable. Swimmers. Betty Goodwin. To accept and sink. To struggle and swim. We all must make the choice between struggle and acceptance. Should one grow to accept the hardships of life or is one compelled to overthrow the systems of sorrow? What is the best strategy to attain personal contentment? What are our ethical obligations to each other and our society? Today, we attempt to unpack and answer these questions. Suicide is a global problem. It isn’t going away. However, a number of studies have revealed that limiting access to common implements of suicide can save lives. We just need to feel compassion for the vulnerable and stop moralizing the issue. Isabella. John Everett Millais. We all have our own unique dispositions. Our very nature is dictated by a combination of genetics, environment, and chance. Yet, capitalist systems tasked with distributing the materials necessary for life and happiness discriminate on the basis of disposition. An argument is put forth that economic discrimination on the basis of personality ought not to be tolerated. 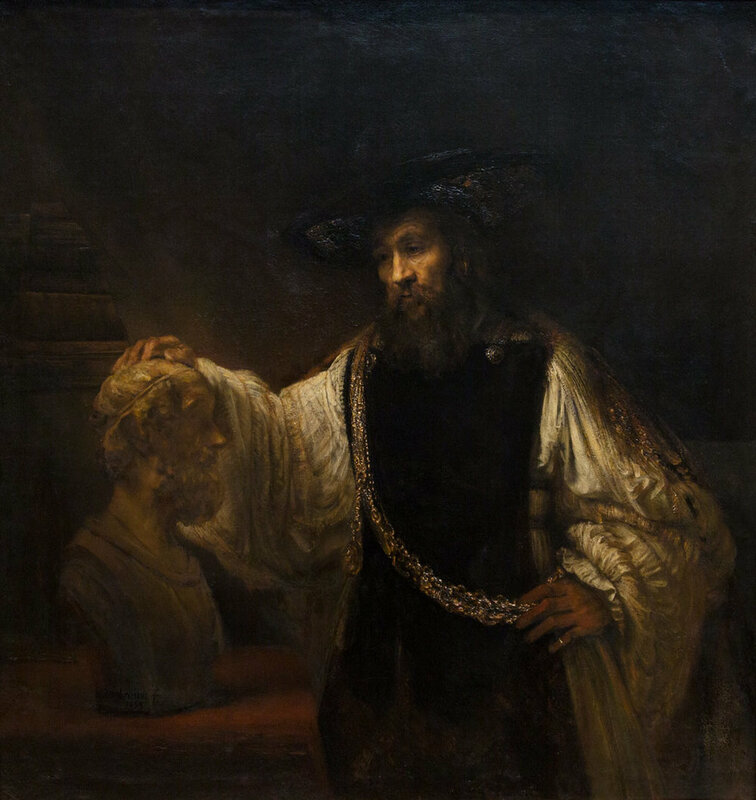 Aristotle Contemplating a Bust of Homer. Rembrandt. Rather than be illuminated by a phone screen, I’ll just let someone chiaroscuro all over my face. Today’s world has been greatly shaped by the emergence of smartphones and the internet. What is a person to do when those same technologies cause distress and interfere with human engagement? My personal tale of transitioning to an analog lifestyle.